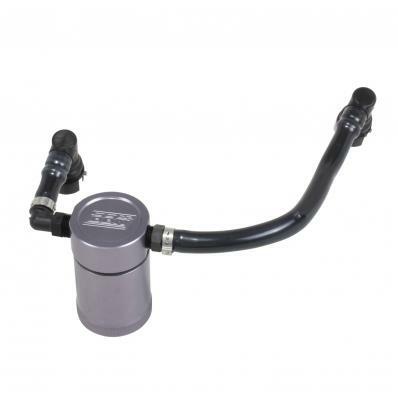 BBK Performance have designed these oil separator kits specifically for late model EFI Ford Mustang applications. An Oil Separator will keep oil out of your intake for a cleaner fuel burn and improved performance. The design of today’s modern fuel injected engines engines sends oil vapor from the crankcase back thru the PCV system to the air intake to be re-burned which cause engine deposits and poor fuel burns. Clean Up your engine fuel burn and add life to it with a BBK Oil Separator Kit.